With a lot of dogma coming from wine experts and wine schools, one might suppose that wine was a consensus subject. Nothing could be further from the truth. Serve the same wine to eight experts, and you’re likely to get many different opinions. When wines are paired with cuisines that lack a tradition of wine culture, the differences are exponentially greater. There’s a good reason why Europeans are so often able to seamlessly and delectably pair their regional dishes with wines from the same region. The two have lived in concert for centuries. As the cuisines of Piedmont, Burgundy and other regions evolved, so did their wines and over many years achieved near perfect harmony. But keep in mind that this was only achieved with great deal of trial and error. So as wine lovers in China try pairing their regional dishes with wines, it’s to be expected that some pairings will fail. We often learn more from failure than from success. Most important is that we experiment and learn what combinations work best, and this task is the responsibility of wine lovers in China and not to be delegated to Western wine authorities who only occasionally visit. The latter may be highly accomplished in wines but often know little or nothing about authentic Chinese cuisine. Should you put classics like stinky tofu or pig’s intestines and duck blood in front of them they probably wouldn’t even take a bite. Chinese wine lovers and Westerners living in China who share a passion for Chinese food are best suited to implement this noble endeavor. The sheer number of different ingredients, cooking techniques, flavors and textures means that there exists no one style of wine that matches best with Chinese cuisine. That’s why I laugh when many wine connoisseurs claim that Riesling or Gewurztraminer pair best. To borrow a biblical phrase: “They know not what they speak.” It is utterly absurd to lump all the styles of Chinese regional cooking into one and then claim one or two styles of wines are best. The wine world mirrors the diversity of Chinese cuisine as there are thousands of different grape varieties and wine regions that produce stylistically different wines. This complexity works to wines’ favor when pairing with Chinese cuisines as there’s almost always one or more styles of wine that match beautifully with a Chinese dish. All we need is the dedication, passion and time to find the greatest synergies. Successful wine pairing with Chinese dishes may not be easy but it’s eminently achievable. I’ve found that one key to success is to break the rules. Because the cultures of Chinese cuisine and wines evolved in mutually exclusive fashions, there are precious few rules or standards. In truth, we’re kind of making them up on the fly but some rubrics are helpful. A fine place to start is the sequence of dishes. Sparkling, white, red and sweet is a sequence the wine world is eminently comfortable with; unfortunately, this often doesn’t work with the classic dish sequence of many regional cuisines. Over several decades and thousands of dinners pairing Chinese cooking with wines, I’ve concluded that controlling the sequence and timing of the dishes is essential. For example, one recipe for success is serving cold appetizers with sparkling wines, seafood dishes with whites then reds with meat. Should manipulation of the dish sequence not be possible there are other viable options, such as rose wines with both fish and meat dishes or even a lighter red with good acidity. In any case, solutions exist. Another rule-breaker that makes good common-sense deals with table settings. In the West, we have all the glassware placed to the top right of the setting but as many Chinese meals are served in the center of the table and most people are right-handed so the logistics prove troublesome. Therefore, I often put the glasses to the left of the place setting. While counseling Gewurztraminer with all things Chinese is wrong, in truth wines made from this variety do work well with some Chinese dishes. Most notable among these are rich and heavily seasoned dishes. The name is German, the best examples come from Alsace and the grape most likely originated in northern Italy. 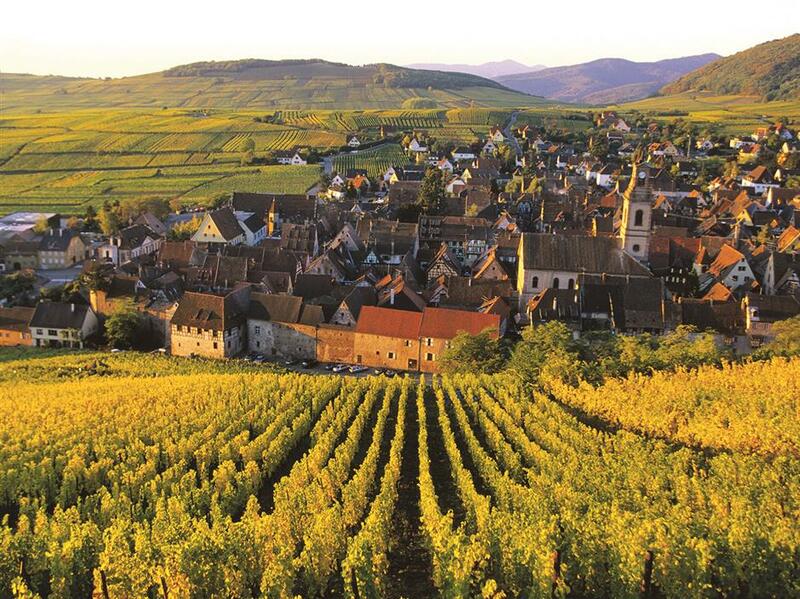 The best Gewurztraminer wines are from southern Alsace where the style of the wine ranges from bone dry to extremely sweet. The dry wines typically have a gold color with powerful rose and spice aromas and concentrated lychee and tropical fruit flavors with generous spicy sensations developing in a long complex finish. The distinctive qualities of a dry Alsatian Gewurztraminer make them the easiest wines to identify in a blind tasting. Their opulent character makes them good partners to boldly flavored Shanghai dishes, while their spicy traits mean they also pair well with more spicy fare from Sichuan, Hunan and Yunnan. On the other side of the style spectrum are the noble rot Gewurztraminer Selection de Grains Nobles. These overtly sweet wines are amongst the headiest sweet wines in the world offering mouth-coating viscosity with an oily-silky texture and powerful rose, honey and tropical fruit aromas and flavors. Excellent with many styles of Chinese desserts, these wines are also quite lovely with innards and exotic game dishes. Some of the best wine producers of Alsace have wines in Shanghai including Hugel, Trimbach, Pierre Frick, Baumann and Zind-Humrecht.